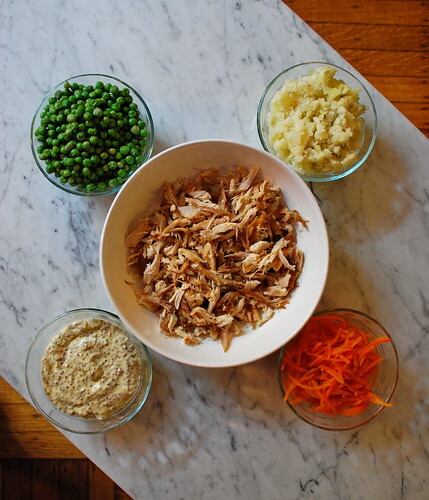 Check out my first contribution to MAMIVERSE.com—a weeknight version of Ensalada de Gallina. Click here for the recipe. Mamiverse is an online hub and lifestyle site for Latina moms, daughters, and their families, with content that speaks to specific cultural perspectives and needs. MAMIVERSE Food is a new component that recently launched featuring a Latin cuisine database. However, you should definitely check out the site regardless of whether you're Latina/Latino, because it contains a treasure trove of easy, delicious looking recipes by an amazing list of chefs and personalities. 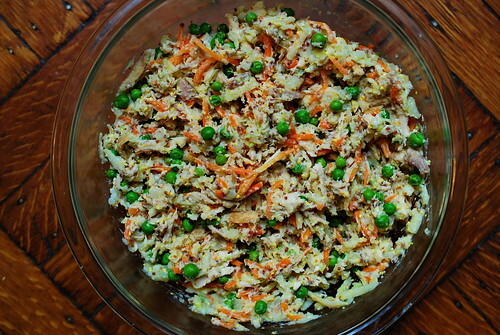 You might recall that I incorporated a version of the Venezuelan chicken salad into my menu project which I posted a few months back. However, this one is MUCH easier. I've pretty much taken out all of the chopping and most of the cooking. Anyone can make this, regardless of cooking skill level. A special thanks to Chef Daisy Martinez for recommending me.